Introducing Gannet 3.0! This new version includes a number of new data processing features (incl. 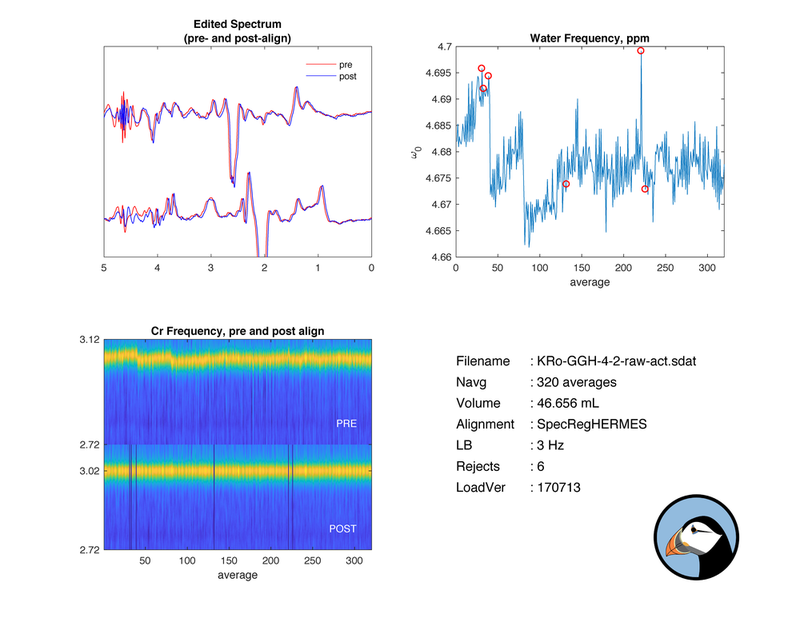 handling of HERMES data), a revamped output MATLAB structure, slight improvements in speed and efficiency and many other changes and bug fixes. + Transients are now rejected if their respective standardized mean square error (from the nonlinear regression routine) exceeds +/-3 stds. + Renamed ‘GaussModel_area’, ‘GABAGlxModel_area’, etc. to ‘GaussModel’, GABAGlxModel’, etc. "The Bi-Annual International GABA MRS Symposium has quickly become my favorite meeting. 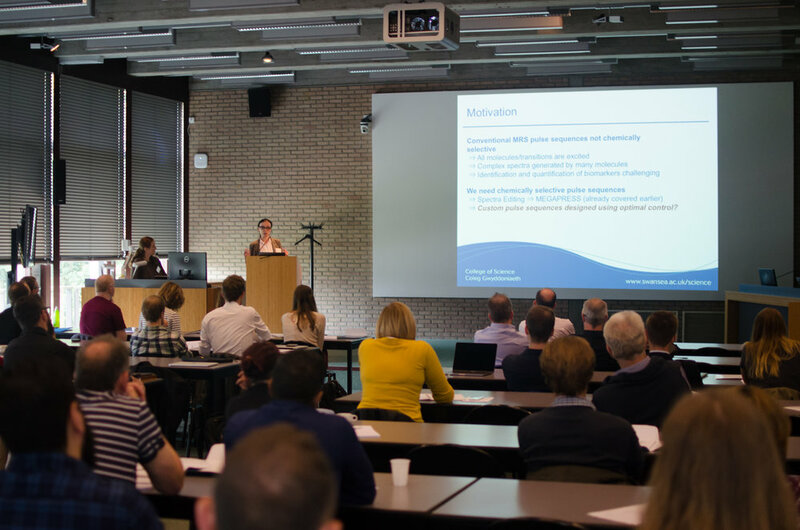 Though a rapidly growing field, proton MRS remains largely underrepresented at professional conferences. 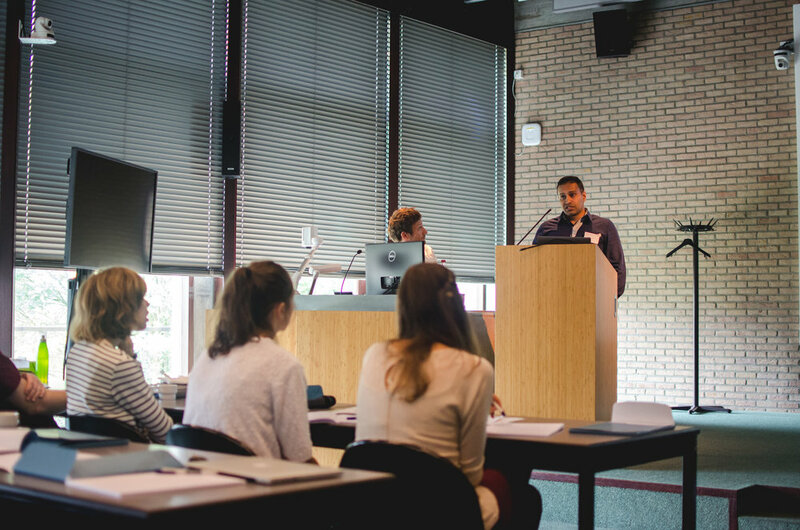 The GABA MRS Symposium has allowed me to keep up on the latest methods, present my findings to leaders in the field, and form and maintain collaborative relationships that otherwise would not have been possible. I look forward to the next meeting!" Trying not to take this personally. It turns out that getting on the train to Louvain was the right thing to do. So I am here, ready for an exciting day of GABA symposiuming. September will soon be upon us, and with it, the 4th (yes, 4th) biannual GABA MRS symposium. 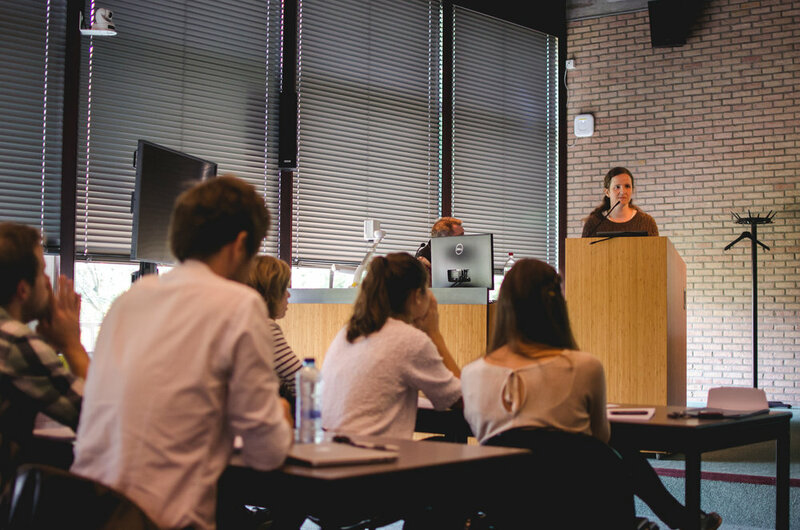 This year, we will be in Leuven Belgium, for two packed days of abstract talks and scientific discussions. At last count, we had over 70 people registered, so we are looking forward to some stimulating discussions. The symposium website is here. An email with further information will be sent to all registrants in the coming week. Hopkins spectroscopists preparing for the far-less-terrifying-than-the-name-suggests Gunpowder Falls. Congratulations to Kim Chan and Nick Puts for winning ISMRM Study Group prizes for their respective abstracts on HERMES and Tourette Syndrome. Excited that our paper on 3X HERMES acceleration was accepted at NeuroImage. Kim will be presenting it Thursday afternoon at ISMRM. See you there! The paper is now online (pre-proof). Over the last year, we have been expanding our horizons to editing things that aren't GABA. 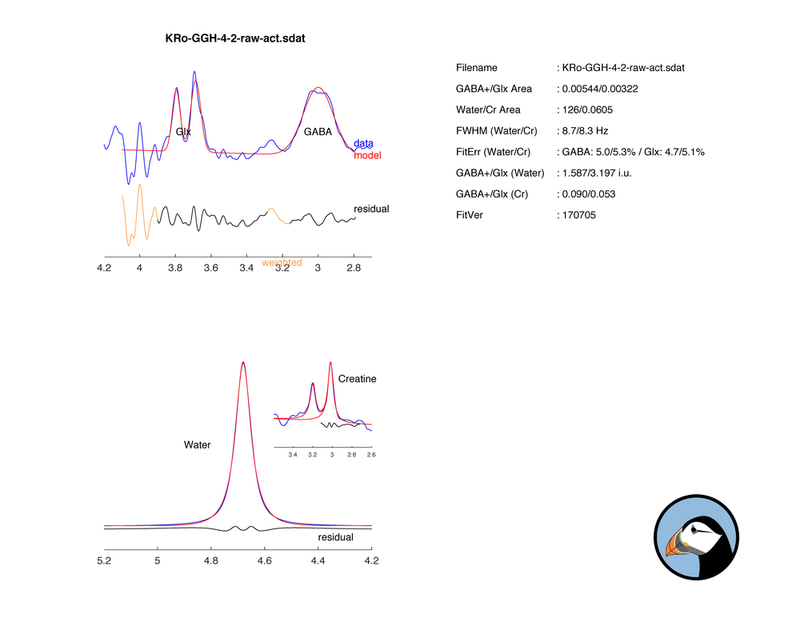 Probably the next most popular editing target is glutathione (GSH), so I thought I'd post some thoughts about how to take a GABA scan and modify it to edit GSH. 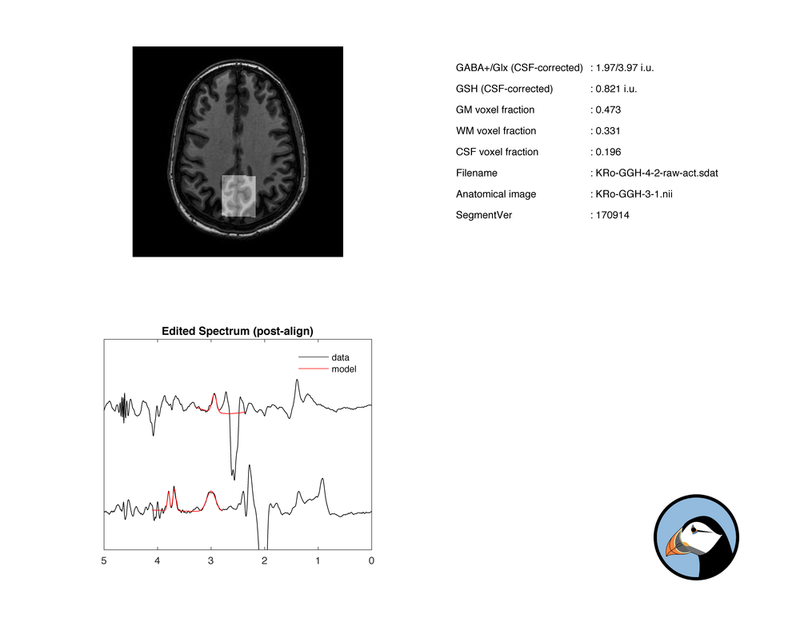 To address the most obvious change first, the editing-on frequency changes from 1.9 ppm for GABA to 4.56 ppm for GSH (based on shifts from Govindaraju et al.). The editing-off frequency is less critical, but putting it at 8 ppm seems safe. The least obvious issue to resolve is echo time, which we recently wrote a paper about (Chan et al. 2017, the subject of a recent MRM piece). To cut a long story short, it doesn't make a lot of difference whether you stick with medium-TE (~70 ms) or go longer (~120 ms), although the longer TE is slightly better (and certainly expected to be better). Longer TE also has secondary advantages, like accommodating longer more selective editing pulses or longer, higher-bandwidth refocusing pulses. But beware, some editing implementations e.g. the Siemens WIP, don't move the editing pulses when you increase TE, so it is impossible to edit well at longer TEs. Another important consideration, if you are planning a GSH editing study, is that it is now possible to edit GABA and GSH in the same scan without substantially impacting SNR (Saleh et al. 2016). So if you're planning to edit GSH, why not edit GABA too? Gannet performs post-processing frequency-and-phase correction of data to minimize subtraction artefacts due to motion and scanner drift. For simple GSH editing, the 'NAA' alignment works pretty well. ('SpecReg' fails due to editing pulses impacting water). For HERMES, we have a new Gannet version in progress. As we look forward to a relaxing and joyous trip to Hawaii, the primary objective is to present our Magnetic Resonance Spectroscopy (MRS) work from Richard Edden’s laboratory at 25th Annual Meeting of the International Society for Magnetic Resonance in Medicine, Honolulu, HI, USA. 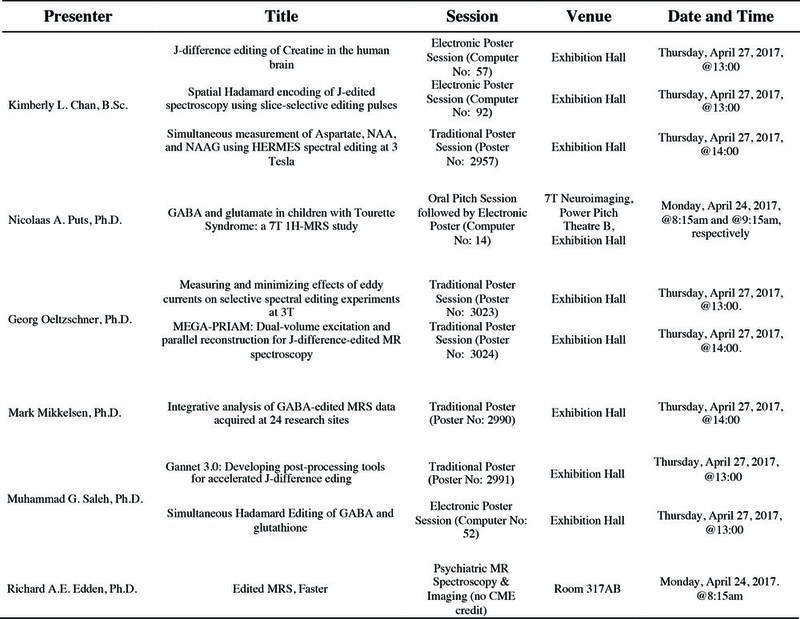 The below-mentioned abstracts are scheduled for presentation at the allocated time and venue. 1. NAA-based correction can do a lot to clean up the GSH-diff spectrum. 255PM: Bumped out of the large conference room. 1239PM: In terms of actual progress. We have tested 6 methods. None of them do very well. Onwards and upwards! 1200PM: Pizza arrives as ably planned by Mark (picking up from the organizational travesty that was Nick's lunch arrangement). 933AM: Donutgate: the number of declared donuts doesn't match the number of eats donuts. 922AM: Nick just left the room. Minus 70 Edden points. 920: Pretend to set up a live webcam feed. 905AM: Preliminary chat over. Repositories forked and coding has begun. 840AM: Skype to Jamie Near in Canada. 755AM: Room setup. Do we have enough extension leads? 730AM: Dunkin' Donuts stop for fuel. 559AM: I remembered to grab my charged-overnight laptop on the way out of the house. A good start. The alignment of editing-ON and editing-OFF scans is an issue for all J-difference-edited MRS, but especially for HERMES editing, where at least four sub-experiments (with different signal characteristics) must be aligned. We are going to be taking a shotgun approach to improving frequency-and-phase correction for HERMES. Tomorrow, we will focus on HERMES of GABA and GSH, trialling a (hopefully large) number of methods on 4x10 subjects in vivo data (collected at three sites) and simulated data. We will implement the best method(s) in Gannet and hope to publish the results soon after. Click here to go to the full review. MEGA-PRESS editing of GABA. It has been a reliable workhorse for the last decade, but I wonder how much longer it will rule the editing roost. I am posting this through a haze of man flu and cough syrup, so forgive my mixed metaphors and apocalyptic tone. MEGA-PRESS is fundamentally inefficient. In spite of exciting all metabolite signals in a 3 cm slice of brain, through the application of two slice-selective spin echo pulses, the vast majority of signal is silenced, and then, by difference-encoding a single target metabolite, the majority of signals are consigned to the sum spectrum and ignored. Editing is slow, mainly because of the signal averaging required to measure low-concentration metabolites. Single-voxel single-metabolite editing is both slow and inefficient, because if you're forced to spend ten minutes doing something, you might as well do something else at the same time. We have recently been exploring multiplexed edited experiments, and it turns out to be a rich seam to explore. Why not join us? Parallel imaging reconstruction allows the simultaneous acquisition of multiple excited voxels using PRIAM, and we have recently shown that MEGA-PRIAM can simultaneously edit multiple voxels. We have also shown that MEGA-PRESS experiments can be run simultaneously to edit multiple metabolite targets, so long as the editing encoding schemes are orthogonal, using HERMES. Thus far, HERMES has been demonstrated for simultaneous detection of NAA/NAAG and GABA/GSH, and there is a lot more to come. It is worth noting that HERMES and PRIAM are compatible methods, and combining them allows the simultaneous editing of multiple metabolites in multiple voxels. And finally, for now, SHERPA is an alternative approach to MEGA-PRIAM for the simultaneous edited detection of multiple voxels. It draws on the HERMES principle of orthogonal editing encoding, but applies it spatially, using gradients to make editing pulses spatially selective. The field of accelerated editing is just beginning and there are a lot more exciting ideas to explore. At Gannet HQ, we spend a lot of time listening to the podcasts provided by maximumfun.org, including the life-changingly wonderful Judge John Hodgman. This podcast network runs on the basic assumption that people who like something might be willing to support it financially. So I thought it might be worth trying for Gannet. 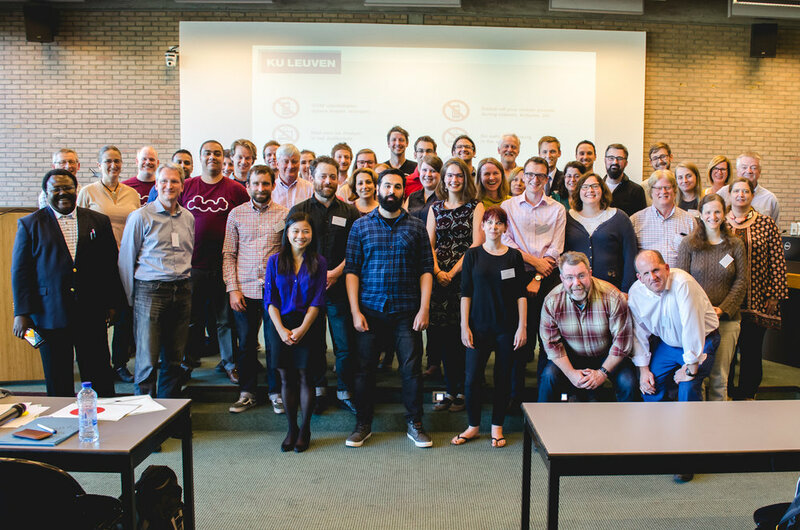 If you like Gannet and would like to support the work we do, please consider purchasing a Gannet Supporter Pro License. When you do so, you will be sent a beautiful t-shirt from Zazzle, that you can wear to your conference of choice, and to bars, and at a push weddings. Depending on how this appears on your credit card statement, it might even be a claimable expense. Net proceeds from sales of Gannet Pro Supporter Licenses will be used to purchase coffee and further fuel the development of the software. 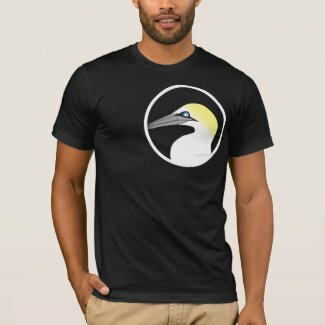 If you are a female supporter of Gannet, Zazzle will allow you to choose a lady-shaped t-shirt option. Gannet remains a free-to-use software. Thank you for using and supporting Gannet.